Mounts in less than 10 minutes vs over an hour for traditional mounts. 1″ angle makes this the strongest bracket available. Ratchets hold the 16′ strap more secure than traditional crimp connectors. V-bolts for any 1″ to 2″ mast ensures the mast will not turn. Includes easy to understand printed instructions. Over 200,000 units sold since 2003 and a 100% Money Back Guarantee. If you’re not happy with the Stack Strap Chimney Mount for any reason return it for 100% of your money back! Selling over 200,000 Stack Strap Chimney Mounts proves it’s the best way for you to mount a TV antenna or satellite dish to your chimney. – Traditional chimney mounts take over an hour to install. – Stack Strap Chimney Mounts take 5 – 10 minutes. 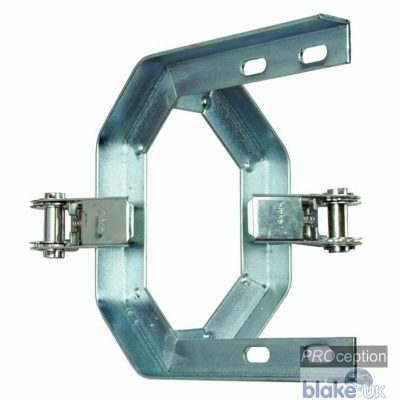 – 1″ angle makes this the strongest bracket available. – Traditional chimney mounts use crimp connectors that slip. 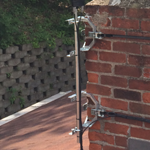 – The Stack Strap Chimney Mount uses ratchets that won’t slip so the strap is tighter. – Traditional chimney mount instructions are non-existent or poorly written. – Stack Strap Chimney Mounts include detailed paper instructions. 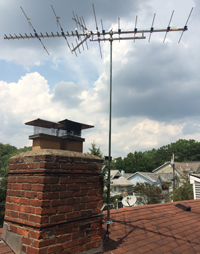 – Call Mr. Antenna Cincinnati if you have questions or need help with your Stack Strap Chimney Mount. – Over 200,000 Stack Strap Chimney Mounts have been sold since 2003 without any significant issues. 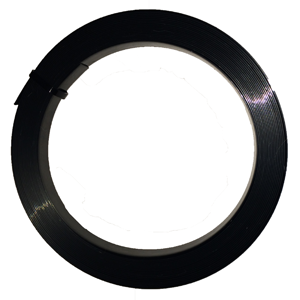 – Superior protection from the weather and elements provides a mount that will look like new and last for years. 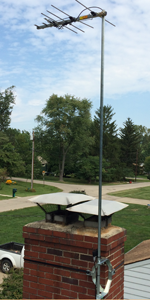 – When chimney mounting large TV antennas over 6′ long on a 10′ mast. 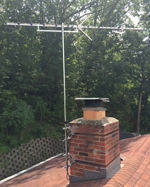 – Smaller antennas can use the (single) 9″ SS/BKT09 or (single) 14″ SS/BKT14 kit. – Includes a 16′ polyethylene terephthalate strap tested to last over 15 years in sunlight, ocean sea spray, and windy conditions. For a 32′ strap, order the SS32. 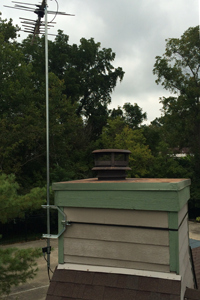 – Standoff from the chimney is 4″ if using a 2″ mast and 4 1/2″ if using a 1″ mast. 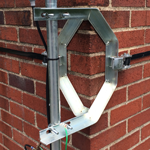 – If you’re not happy with the Stack Strap Chimney Mount for any reason return it for 100% of your money back!